Let us inspire you with our pick of what's on around Hong Kong this week, 5 October 2018! Planning for the week ahead? 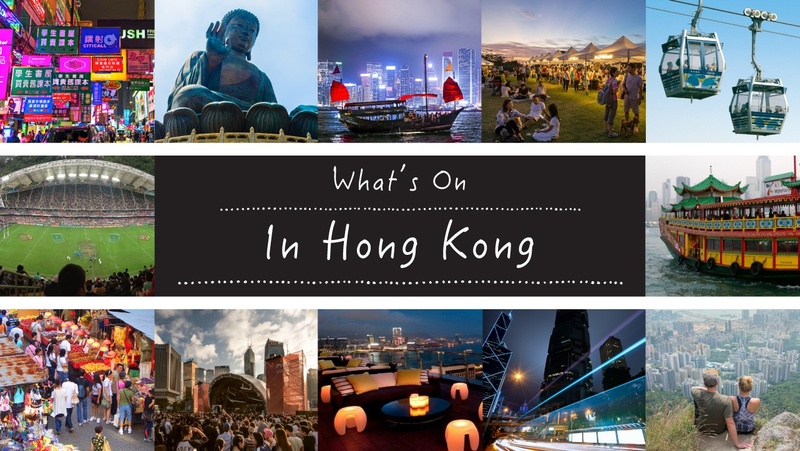 Let us help with these highlights of what’s on in HK this week 5 October 2018. Want more? Check out our comprehensive what’s on guide with full listings for the months ahead here. Experience Hong Kong’s first jazz experience on the beach. At sunset, enjoy a smooth cocktail from Treasure Island Beach Restaurant and watch the stars appear while you wait for a magical evening featuring Hong Kong’s very best jazz musicians. Formed by multi instrumentalists Xavier Boyer, Médéric Gontier, Sylvain Marchand & Pedro Resende, Tahiti 80’s adventure began in the French cities of Rouen and Paris in the mid ‘90s. A new album, their 7th, The Sunsh!ne Beat Vol. 1 will drop in September, followed by a world tour. Snail Mail is the indie rock solo project of 19-year-old Lindsey Jordan from Baltimore, Maryland. She will perform alongside eevee, a 25-year-old beatmaker, producer and DJ from the Netherlands. Listen Up Live is a multi-band tour series showcasing an exciting and talented new wave of Japanese musicians. The first edition will feature artists DURAN, PHEKOO, SPACE from Japan. Placido Domingo add yet another chapter to their legendary Met collaboration with this rarely performed Verdi gem, a heart-wrenching tragedy of fatherly love. Shop, eat, network once again at the friendliest bazaar in town! Expect kids activities, tasty bites and of course fantastic shopping at this event that brings together passionate female artisans and entrepreneurs from around Hong Kong. The Women’s Five is more than just a run. Join a community of women who will take part in a 5-week health and fitness program before the run which helps you to connect and socialize with other like minded women and prepare for the run. The public can visit more than 50 stalls selling handmade crafts, jewellery, accessories, houseware, toys, cashmere products, books etc. Enjoy a relaxing Sunday with the Bellios Winds who will be playing fascinating music from popular movies and animations. The Hong Kong Tennis Open is back with an all-star line up including tennis stars such as US Open Champion Naomi Osaka, China’s top player, Zhang Shuai and world number 6 player Elina Svitolina. Sideways (Driving Club) is hosting the 2018 Sideways 24hr Charity Endurance Race to help raise funds for HandsOn Hong Kong programs supporting local communities in need. 15 teams of drivers will battle it out for 24 hours in a race of strategy, speed, skills, endurance, and consistency. ImpactHK has been serving and supporting the homeless on the streets every day for the past few years now! During Awakened, a group will meet for a meal and a group discussion before heading out to a preselected location to sleep outside for the night.